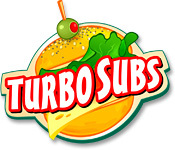 Turbo Subs is rated 4.5 out of 5 by 25. Rated 5 out of 5 by J9CT from Awesome TMG!!!!! I've now played this game for the 3rd time and it's still awesome. 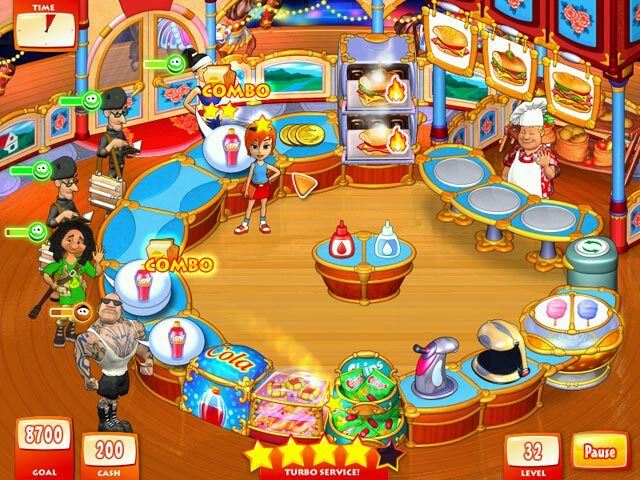 Not on par with the level of challenge of Burger Shop but still a challenging and fun game. I love that one doesn't always have the amount needed for a specific kitchen upgrade, so you play the next level to make more money for your upgrade. Also I love the fact that there are at least 4 hidden object scenes in between gameplay which is a nice break from serving customers. Another bonus is that there is a thief that lurks around in the background and steals your tips if you're too slow to pick them up in time, definitely adds to the challenge. This game is 60 levels of fun and I totally recommend it. Rated 5 out of 5 by Discordia33 from Awesome Time Management Game! I love the entire Turbo series, I purchased this game in 2008 and here I am in 2018 writing the review because I have played it through to the end a dozen times and have not tired of it! 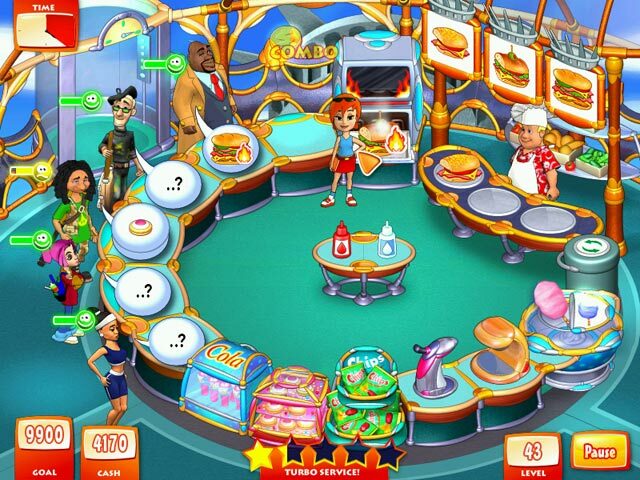 I found this mad rush to serve customers their specified food to be more challenging than most time management games which gave me a strong appreciation for it. The visual setting is cute and the upgrades to the environment are as well. Rated 5 out of 5 by ladylansing from Fun This is good for someone that likes a challenge. Rated 5 out of 5 by Martysgirl26 from good game I enjoy playing all the turbo games. I found this game to be fairly easy but fun. Rated 5 out of 5 by Foopizard from One of My Favorites I love this and all of the Turbo Games. I play them again and again cause they are fun and challenging. I wish there were more games like these. Rated 5 out of 5 by trinityn7 from Turbo Subs, Best Game EVER! This game is extremely addictive and I LOVE it! They need to make a Turbo Sub APP for your phone. Rated 5 out of 5 by Pucktweety from Brilliant! 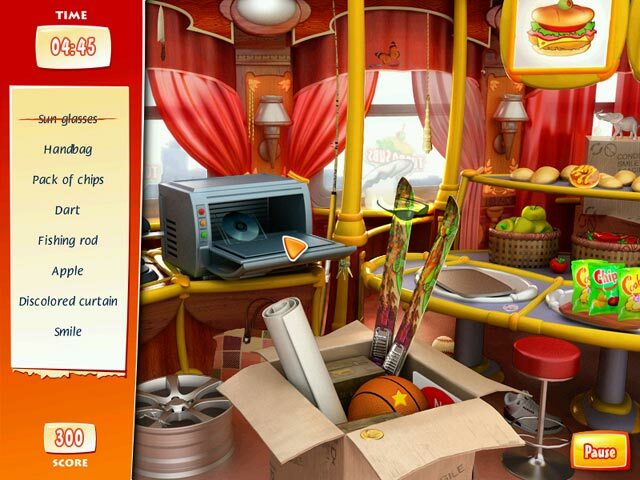 If you are looking for a great time management game that really challenges you then you can't get much better than the whole 'Turbo' franchise. Each game offers a very unique game-play with essentially the same skills required but different enough to be interesting. This here one is the 'original' and defined the franchise in that near the end you are literally having a heart attack trying to finish some levels. You are literally down to the last few seconds in some of the harder levels and that is what makes this game - SO FUN! Rated 5 out of 5 by hez2011 from Fun Game! This is a fun game, no it isn't always easy, yes you will have to work hard at it but I love how FAST you can zip along. Once you get a chain going, you can really fly. The gameplay is MUCH faster than usual in these kinds of games. My only complaint is that around level 56 (there are 60 levels) it seems to get stuck, computer won't let you win. I've read this before. Having said that, I cannot say don't buy this game, it's fantastic. Make sure you check out the newest version, Turbo Fiesta. I have never played a game on Big Fish with such good control as this turo series. I cannot wait for another one!